How do we respond to the invitations of Jesus? 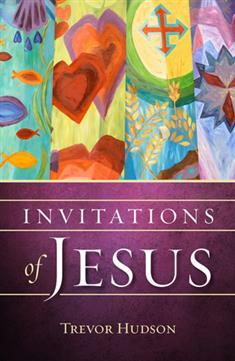 Trevor Hudson calls us to consider the invitations Jesus offers in five dimensions of life. In his gentle and intimate style, Trevor leads you to see where Christ is touching your life, calling you to deeper relationship with God, self, and neighbor. This six-week small group study includes a Leader's Guide for small-group facilitation. The sessions are structured to last one hour and open with a prayer followed by reading the Word, reflecting on the chapter invitation, and responding to the invitation.